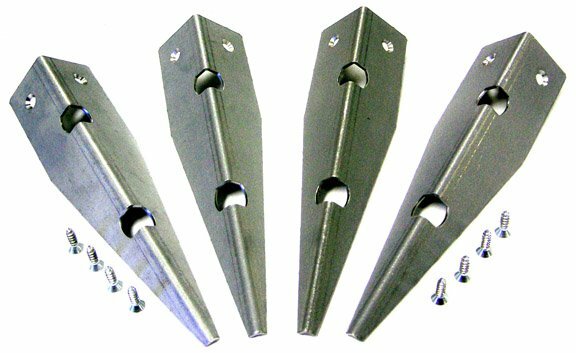 Metal cabinet protectors - set of 4. Metal protectors mount between the cabinet and the leg. They are completely invisible once installed. This set includes the 8 mounting screws.